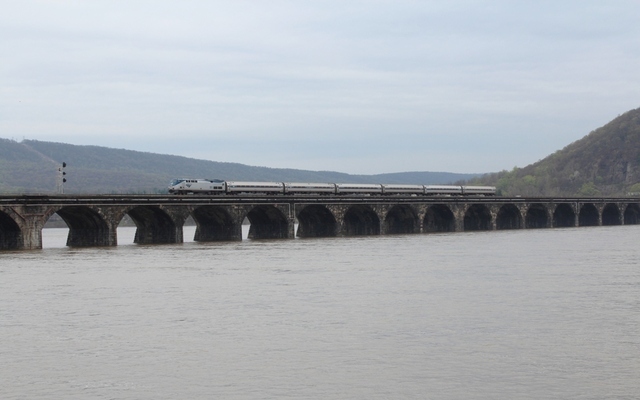 The Amtrak Pennsylvanian begins it's trip through Western Pennsylvania by crossing Rockville Bridge. At Bridgeview Bed & Breakfast. 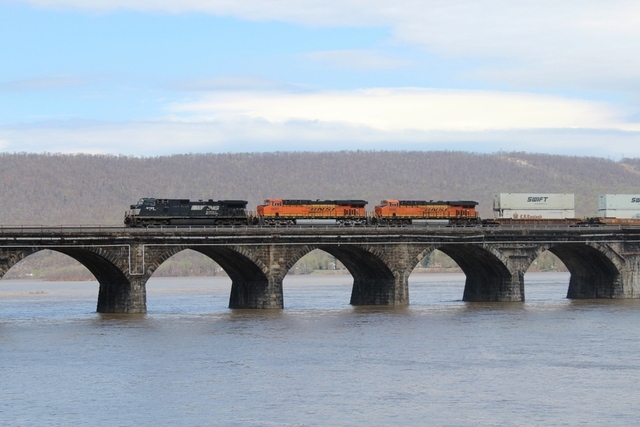 One NS unit leads two colorful BNSF locomotives on a westbound hotshot intermodal train crossing Rockville Bridge. At Bridgeview Bed & breakfast. 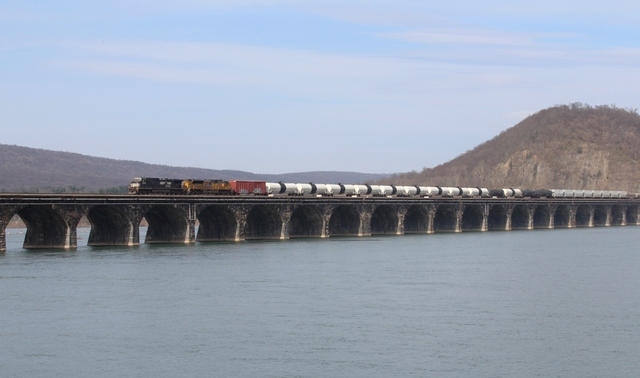 Mixed freight with a large cut of tank cars westbound across Rockville Bridge with an NS and UP duo on the head end at Bridgeview Bed & Breakfast. 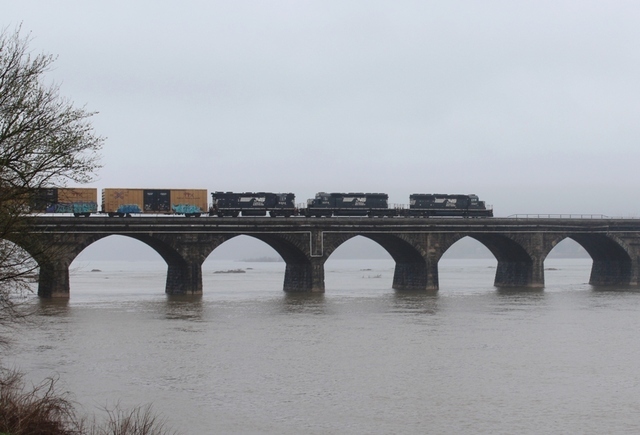 From out of the rain and fog Sunday comes this classic line up of EMD power heading for the Buffalo Line. As seen from The Bridgeview Bed & Breakfast.